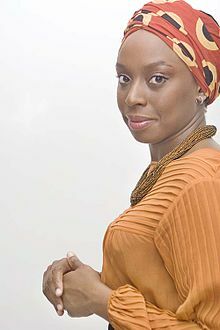 I read both of Adiche’s prior novels, Purple Hibiscus and Half a Yellow Sun, years ago – when they were published to much acclaim. This one is better, Adiche has matured and she has a message – or two. I haven’t read her short story collection, The Thing Around Your Neck – I probably should. The story here starts in the US where Ifemubu, a well-educated, professional 30-something Nigerian-American woman is preparing to leave the the country, returning to her homeland and an old boyfriend/love after 13 years. The book is divided into 7 parts and after starting out in 2010 or so, the story goes back and forth between the settings of the US where Ifemubu makes her way as an immigrant, and Nigeria/England where the boyfriend, Obinze, deals with life and his own very difficult circumstances. The best of the book is in the blogs which Ifemubu writes while in the US. These are searing essays of honesty (as far as I know) about the reality of race in America whether we admit it to each other or not. Coming from Nigeria where class is based on money (although small inter-ethnic animosities exist), Ifemubu lands in a country where race permeates almost everything she, as a black woman, does. I truly learned from those blog sections. Adiche elaborates on three themes which weave around through the book. The first is the search for a “home” and “identity.” Ifemubu has never really felt like she was a part of any place she found herself except with Obinze. The second theme is race and that is a huge part of why Ifemubu feels out of place in the US, it’s what she writes about in her blog. The third theme may be the idea of love and how only love can fix what ails us – give us an identity, a home, and possibly overcome race. These themes are multi-faceted with the race theme being treated somewhat satirically – (although spot-on). And there is a whole lot more in the book than those themes. The characters are probably as well developed as “types” can be and because this is a satire the “types” have to at least minimally over-ride the individuality a character might have. 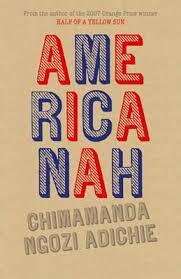 The language is excellent – it’s part of why Ifemubu feels out of place and she analyzes it. Adiche is a gifted writer hitting the nuances of feeling for Ifemubu as well as the outlines of other characters. The literary allusions might have been a bit overdone -but they did provide insight into Ifemubu as well as other characters.